Salisbury Mansion, located at 40 Highland Street, is Worcester’s only historic house museum. Built in 1772 as a combination house and store, it served as the home of “gentleman-merchant” Stephen Salisbury. The store closed after the Embargo of 1812, and by 1820 all of the space once used for the store had become living quarters. Salisbury Mansion has gone through many changes over the years, from a rooming-house to a gentleman’s club. Salisbury Mansion was originally located at Lincoln Square. Through tireless research and documentation, Salisbury Mansion has been restored to the 1830s to reflect the time when it was home to the widow Elizabeth Tuckerman Salisbury. 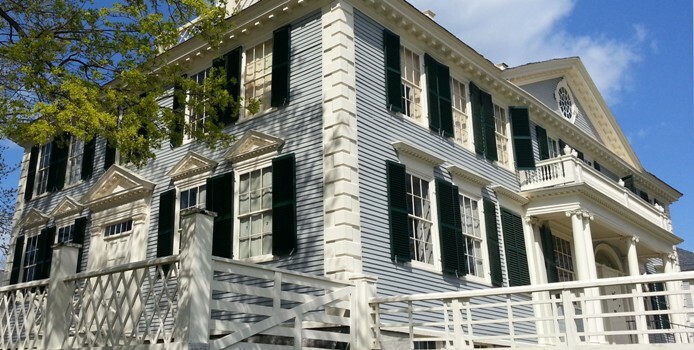 It is considered one of the best documented historic house museums in New England.